AirFi is delighted to welcome its 40th customer as the team gears up for the upcoming aviation conference season. AirFi is showcasing the next-generation market-leading portable Wireless IFE system and its latest product & service innovations at the industry’s main events, kicking off today at Aviation Festival Expo in London, Sep 6-8th. London, UK | September 6, 2017– AirFi, the market-leading provider of portable onboard Wi-Fi platforms, today announced a further sizeable expansion of its airline client portfolio to 40. 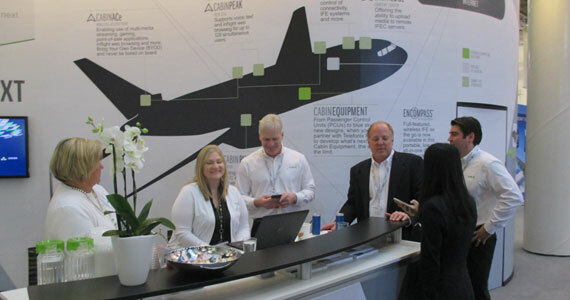 Having announced six new customers in the run up to Aircraft Interiors in April, AirFi today announced another 10 client signings since the Hamburg show. “We are seeing the breadth of successful deployments across all aircraft types and more new use cases for AirFi drive this remarkable interest and the sharp increase in client acquisition over recent months. Coupled with this, we’ve been busy dramatically expanding our offer, primarily through our new premium content management service. We are gaining new content clients each month as we expand our premium non-DRM options across multiple languages, cultures and demographics. We’ve introduced brand-new-to-IFE Mashable You Tube/viral content, same-day catch up ITV soaps & dramas and the latest Hollywood, International and Arabic movie content and boxsets – and all without the need for Apps. “ Job Heimerikx, CEO AirFi comments. Over the upcoming aviation market conference season, kicking off here at the Aviation Festival in London, AirFi will be exhibiting at the leading events showcasing the latest generation AirFi Box. With up to 24 hours of operational battery life, 1TB data storage and up-rated hardware & software, the new AirFi Box makes a step change forward from its predecessors, yet weighs in under 2kg and retains AirFi’s hallmark flexibility, reliability and speed of deployment. This next-generation edition enables even more features, use cases and revenue streams to be generated by the market’s most widely deployed portable IFE system. Come and meet AirFi at Stand 28B the Aviation Festival Expo this week and see how you can enrich your digital onboard passenger experience with AirFi. AirFi Box IFE streaming platform now features latest Hollywood movies, hit TV shows, viral videos, best-selling digital newspapers and magazines without requiring passengers to download an app. Partnership with LA-based boutique CSP West Entertainment instrumental in creation of premium offering. Berlin, DE | April 24, 2017– AirFi, the market-leading provider of portable onboard Wi-Fi platforms to airlines, today announced that has launched an innovative and truly economical new range of curated Premium Content packages for all airline customers. AirFi and West Entertainment, the LA-based boutique content service provider founded by industry innovators Rick Warren and Kate Groth, have collaborated closely to tailor an offering of premium movies & TV content designed to meet AirFi’s diverse client portfolio requirements. From this offering, airlines can build their own packages of content based on passenger demographic, budget, content renewal cycles, viewing data, or other criteria. “AirFi encouraged us at West Entertainment – as well as the wider international content community – to collaborate and find new ways to keep pricing as lean as possible for even their smallest airline fleet operators. We examined ways to supply without the need for DRM protection where possible, thus avoiding the hassle of airlines having to introduce native apps for passengers to view the content onboard. We’ve been delighted with the response.” said Kate Groth, VP Everything, West Entertainment. In recent months, AirFi secured formal security approval from a number of key IFE content suppliers, including major and independent Hollywood studios and TV distributors. Increasingly, these content sources are providing their premium content to AirFi without DRM (digital rights management) or by using AirFi’s “app-free” technology, where DRM is required. Packages consist of new release and classic feature films, top-rated television box-set and catch up series – where comedies, dramas, documentaries and kids programming feature highly. “We based our new Premium Content offer on three simple tiered-pricing levels that start as low as €500 per package per aircraft per month,” says Heimerikx. “We can then flex these to meet individual airline requirements. Over half of our client base immediately responded with requests for proposals and our first Premium Content customers go live in May this year,” he adds. Telefonix, Inc. has been involved in the inflight entertainment industry for more than 25 years. Several years ago, the company entered into a partnership with Product Development Technologies (PDT), which eventually led to an ownership stake in the premier product design and development firm. 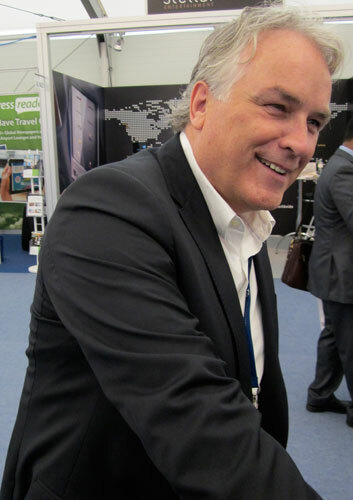 Since then, the company has developed a division within Telefonix, called Telefonix PDT, that is completely focused on developing What’s Next in the inflight entertainment and connectivity (IFEC) industry, both by creating building block technology platforms and by serving as a design, development and manufacturing partner to industry leading IFEC companies. Telefonix was founded on the strength of its retractable cabling technology. You remember the initial inflight telephone handset retraction mechanisms for Airfone that have evolved over the years and are an integral part of most passenger control units flying today? But with over 60 patents issued to date, and a highly skilled team comprised of experts in user research and design, mechanical and electrical engineering, software development, documentation and certification, prototyping and manufacturing, Telefonix PDT has built a unique, full-service offering for IFEC manufacturers who are creating new or next-gen solutions. With several years of custom LRU development, the company has been able to leverage its IFEC industry knowledge to anticipate market needs and bring forth product platforms that reduce time to market and offer competitive custom solutions for customers. Last year at AIX, Telefonix PDT launched their Summit IFEC product platform, and this year they have expanded that offering. The Summit product line was a natural evolution of their traditional custom design service offering. The product line was developed as a set of system building blocks that can be leveraged as designed or be customized as a part of any customer program. The big advantage to the Summit product line is that Telefonix PDT is providing innovative new technology platforms that are easy to install and upgrade. With the company’s announcement that an STC program is currently underway for several Summit line components, cost and time to market, which are always key program considerations, can be minimized by leveraging the Summit components in an IFEC system. 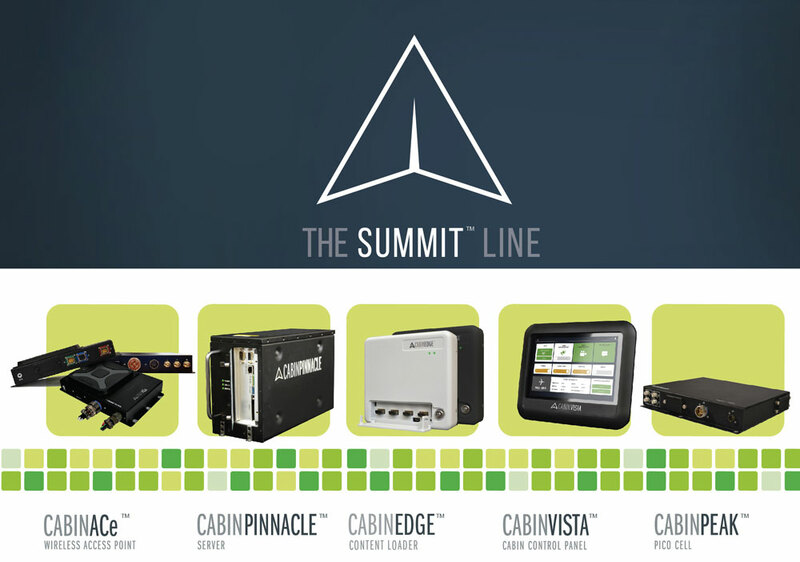 Overall, the Summit product line is one built upon leading edge technology and designed to allow customers to upgrade more easily and with less certification implications than legacy hardware. Beyond the hardware itself, Telefonix PDT is committed to continuing technology evolution and providing ongoing product support for their customers. The company has a long and proven record of customer support and this customer focus has not changed as the company has grown and evolved. 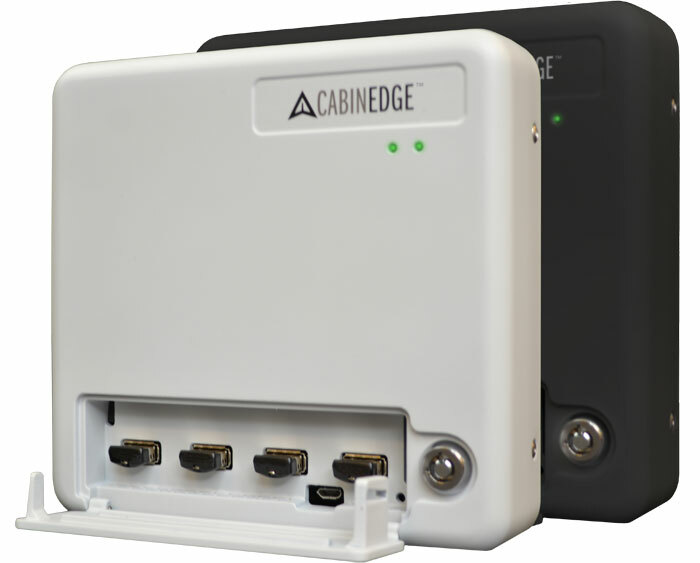 This year, at AIX 2016 Telefonix PDT added the CabinEdge content loader to the Summit product line, as well as introduced the Encompass all-in-one server product. And dimension of 6.00” (L) x 5.72: (W) x 1.32” (H) and a weight of less than 2 pounds. This is the latest edition to the Summit Line. Telefonix PDT also unveiled the Encompass all-in-one server, which is a small form factor, portable wireless server that can be leveraged by customers to create a standalone IFE system. This low-cost system is designed to meet the requirements of short term aircraft trials and long term IFE solution needs. The unit is capable of multi-user media streaming of audio, video-on-demand, and digital magazine content. The Encompass unit also provides data analytics on customer usage and trends. The product’s small form factor and weight make it ideal for overhead storage bins. It also features 12 hours of continuous battery operation, and is an open source solution that is easy to operate and customize. High capacity SSD storage ensures ample content for streaming to passenger devices. 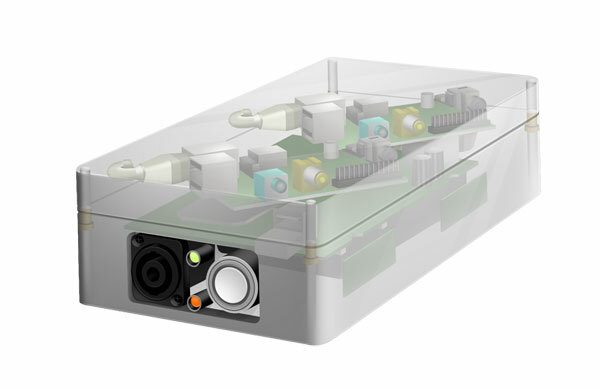 One of its primary advantages is there are no certification requirements of a traditional embedded solution, minimizing costs to the operator. Interface ports, including 6 GBit Ethernet and USB for content loading; and maintenance access via processor/access point serial ports. 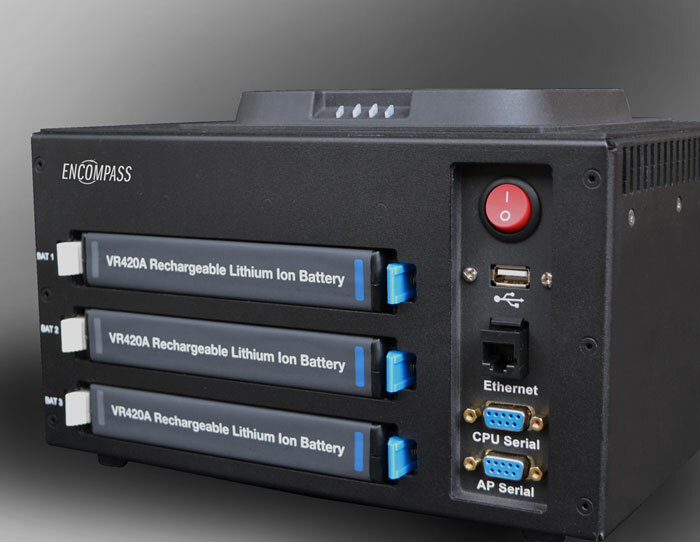 The Summit Line and the new Encompass server are manufactured in the US at the company’s facility in Waukegan, IL. These products have all been designed in the US by Telefonix PDT engineers. 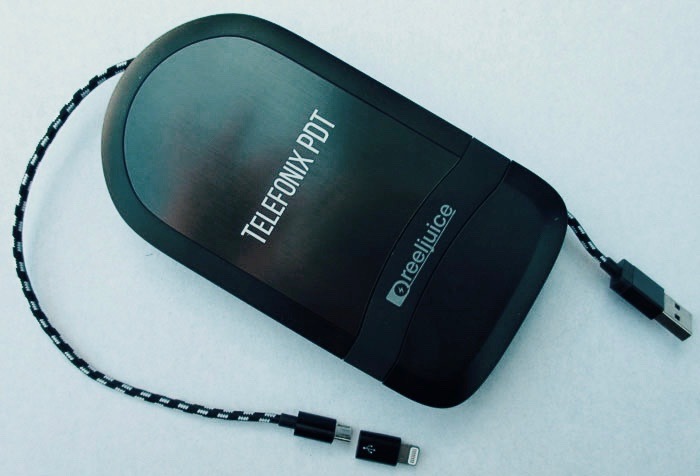 Editorial: We had to tell our readers about ReelJuice 3X from the folks at Telefonix PDT! At AIX, we got a glimpse of the neatest solution for portable stored power with 5 volt storage batteries. ReelJuice 3X is basically a portable power supply with attached cables, and a cord reel for convenience. It will recharge your iPhone 3 times with one USB (or Micro USB) 5 volt charging and supplies the needed iPhone power via a Lightening/Micro USB connector, on a cord reel. Of course, Paul Burke and Mark Schwartz are the creators and who can think about a cord reel without thinking about Paul? Want one? Check out this link! IFExpress interviewed AirFi in 2015 and during that year alone, they installed some 100 units and by show time this year, they have flying some 250 units and soon to be on 163 aircraft. the 1.8 pound Wi-Fi box is not connected to the aircraft and is now powered by an aircraft standard approved battery… and yes, it will last some 15 hours so the box can be easily replaced at a turnaround having served up to 50 passengers (optimized, but not streaming) will have enjoyed inflight entertainment. The folks at AirFi told IFExpress that they can deliver some 20 movies simultaneously and that in their experience, a B737 will only need 2 boxes to supply all needed IFE. 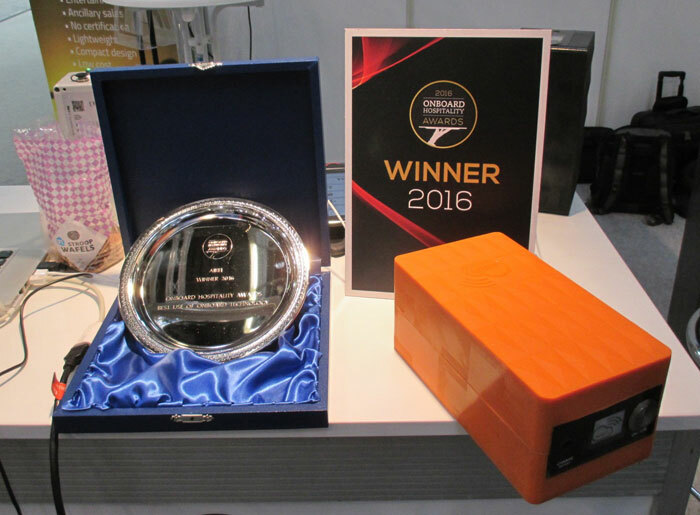 Job Heimerikx told IFExpress that “AirFi is the lowest cost IFE solution for airlines.” The Onboard Hospitality Award Winner for 2016 note the following Key Features: “Full control and flexibility for the airline, No STC (near) same or even better customer experience at a fraction of the cost. It’s fit for every aircraft and Airlines have the full freedom to test any IFE offering. (AirFi) allows airlines to make their own content changes overnight, measure every movement, at no cost, where previously they had nothing. AirFi uses passengers own mobile devices so it is very simple and user-friendly. (AirFi) offers all that in-seat (IFE) offers, plus a lot of interactivity. The system overcomes the problem that free IFE in any aircraft is not economically-viable to retrofit or pre-install. Fresh interactive content every day.” Onboard Hospitality Award Entries – Onboard Technology – OnBoard Hospitality. Here is pre-show release we did on the company; as well as, a KLM reference to routes using the AirFi product. And finally, an MI Airline announcement of the selection of AirFi. If you are looking at millennial travel, and you should be, you need this article from the Financial Times. For inflight Wi-Fi, note this: “This taps into another key millennial trend — they are “digital natives” who grew up on the internet and want to be able to do everything online, on demand.” Not to mention the travel industry: “Eventbrite in 2014 found that 78 per cent of millennials would prefer to spend their money on an “experience” — such as a holiday — over something tangible that they could own.” The future of the 20-somethings has future aviation value written all over the next 10 years but the future looks challenging for value and thus Uber is beginning to show up. Have you checked out the Routehappy Annual Global State of Wi-Fi 2016? The infographic notes the top three Wi-Fi connected airlines (Delta, American, AA) measured via available seat miles which means you will an 80 percent chance of a connection of US domestic flights… think text/email! Effective Immediately: Patricia Wiseman is named Publisher, Editor & Co-Founder of IFExpress & AIRFAX.com/blog. Terry Wiseman remains a Partner & Co-Founder. Amsterdam | March 2016– Since the beginning of March, Dutch flagship carrier KLM has been actively trialling the AirFi box portable inflight entertainment (IFE) solution onboard Boeing B737 passenger aircraft serving the carrier’s daily flights between Amsterdam Schiphol Airport and Madrid, and Amsterdam Schiphol Airport and Istanbul. Through to early summer, passengers flying these selected KLM flights can use their personal mobile devices to connect to a free onboard Wi-Fi network created by AirFi boxes and positioned throughout the cabin in overhead bins. Once connected, passengers enter a 100% KLM-branded environment called ‘KLM in the Cloud’. There, they are free to enjoy newspapers, get destination information, browse a retail selection, chat seat-to-seat, join the KLM frequent flyer program or visit the Kid’s Place – with short videos featuring KLM’s popular jumbo-jet personality, Bluey. “The KLM-AirFi pilot brings content on board, without the need to make aircraft modifications. The feedback from the first weeks, both from our crew and responses to our survey, shows the interest of our customers. The ‘KLM in the Cloud’ platform functioned from day one and was welcomed by our passengers, and AirFi continues to make adjustments to the setup and usability,” commented Joost Blom, Project Manager – Product Innovation Inflight at KLM. “At the moment we have no embedded IFE on our single isle fleet, so adding a form of entertainment would expand our offer on our European routes. BYOD [bring your own device] is something our customers are doing regardless of our offer: people bring their devices loaded with entertainment and consume that during the flight,” he added. During the four-month trial period, KLM will evaluate the content delivery capabilities, data collection opportunities, passenger uptake and operational feasibility of the AirFi portable IFE devices. Lightweight and portable, the IFE streaming solution developed by MI Airline has been implemented across Estonian’s entire fleet of CRJ900 NextGen and Embraer 170 aircraft. Tallin and Amsterdam | March 23, 2015– To make the time spent onboard more meaningful, Estonian Air is now enabling customers to connect their Wi-Fi enabled mobile devices and notebook computers to a secure in-cabin network. Launched in January, this new system is successfully allowing passengers to read newspapers and magazines, view RSS-feeds, chat with others onboard, play games and much more. According to CCO Indrek Randveer, Estonian Air aims deliver to passengers at 30,000 feet the same “e- lifestyle experience” common to every Estonian on the ground. “In first phase of rollout, we want to offer our passengers an opportunity to use this onboard solution to read Estonian (and in the future also international) magazines, spend time playing entertaining games or chat with family members and friends who are also onboard,” says Randveer. “In cooperation with the Dutch company MI Airline and with their ingenious AirFi system, the entire fleet of Estonian Air is now equipped with a fast and portable network which provides for us a solution that does not require any modification to the aircraft. This enables us to offer passengers a ‘connected experience’ using their own devices. Our system does not require passengers to install an app before the flight and the service is provided for free,” he adds. When passengers connect to Estonian Air’s new onboard network, they will be greeted with a user- friendly portal where all information is provided in both English and Estonian. In addition to chatting, playing games and reading quality magazines and newspapers, travellers can also consult Estonian Air’s bespoke Destination Guide for ideas on how to spend time in various cities, or plan thier next Estonian Air getaway. “We are very proud to have Estonian Air as one of the first airlines to implement the MI Airline system fleet-wide and look forward to developing additional onboard network opportunities together,” says Job Heimerikx CEO of AirFi about the launch. “With AirFi, Estonian Air has tapped into a wide realm of potential for ancillary offerings and entertainment”. Amsterdam and Mumbai | July 22, 2014– AirFi and Western Outdoor Interactive (WOI) have signed a partnership agreement, enabling AirFi to distribute WOI content, and offering WOI to provide their customers with a new in-flight entertainment (IFE) offering. The AirFi box can now be equipped with over 400 different magazines, games, TripAdvisor offline, newspapers and many other entertainment and concierge services. 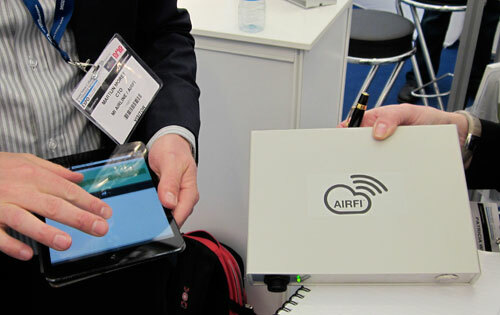 The AirFi box is the world’s first and only portable IFE solution. With AirFi, airlines can operate the most flexible, scalable and yet most cost effective IFE solution for passengers using their own device, independent of the type of aircraft. Equipped with or without in-seat entertainment, AirFi provides a WiFi network, and is not in any way connected to the aircraft, creating an alternative in-flight entertainment solution. 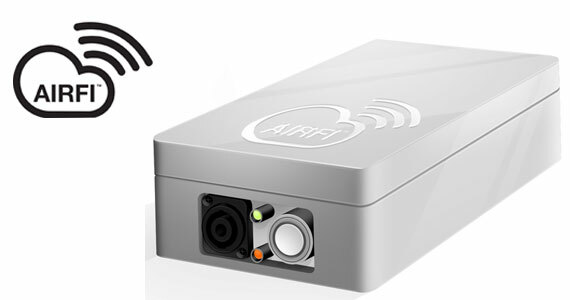 The AirFi Box is designed to be integrated into existing airline supply chain logistics and to comply with the latest regulatory guidelines for connected devices. This weeks SECRET HOT TOPIC: At AIX we were privileged to be let in on something that will forever change the world of onboard Wi-Fi “Hotspot” technology, by a company you know well! Stay Tuned on this one and before you buy an airborne Wi-Fi router, keep your eyes peeled for equipment that delivers the highest QUALITY service to airline passengers! More later! We love AIX because your IFExpress team gets to meet the best people and because the folks who sell used equipment are always associated with, well, used equipment. The team at aviationscouts GmbH are the perfect example why that is not true. Dimitrios and Thomas are two guys who are cabin experts. As you may guess from their website, they are multitalented representatives, consultants and online marketeers, and as we found out, nice folks to match. While in their booth at the AIX in Hamburg we found a very new idea in buying and selling used cabin interior equipment over the Internet. And, they have access to a lot of pre-loved IFE and a multitude of other equipment. Did we mention that we were really impressed with their used seat sales approach… and it’s on your computer today. It’s pretty much a bid operation where you get a very good, rotatable image of worldwide available stock that airlines, resellers, MROs or leasing companies can list with all related details. You must visit their website – www.aviationgate.com. The cool part is that you can rotate the product to check out features of the hardware in real time to see if they fit your airline (or whatever) needs. You can next met the principles (Dimitrios Tsirangelos and Thomas Bulirsch) at this week’s ap&m (Global Procurement Expo) in London. We have it on a very good reference that these people know their business, and why not, their company reputation, experience, and even employee photo’s on their website, are the best in their industry as far as we know. And speaking of meeting people, we ran into Paul Mees (COO) and Martijn Moret part of the team at Dutch IFE company, MI Airline. You might remember MI Airline. Here’s what they say about their product, AirFi: “Airlines without on-board WiFi capabilities have a new, low cost and flexible alternative to offer their passengers a ’connected’ experience with chat, games and ancillary sales. MI Airline is proud to announce the AirFi Box and AirFi Platform. It is a compact, portable, battery-powered and self-scaling WiFi network, not in any way connected to the aircraft. The AirFi Box is designed to be integrated into existing airline logistics and suitable to create an alternative Inflight Entertainment for all flights.” Remember? AirFi is, in short, classified as a T-PED (Transmitting Personal Electronic Device), offers lightweight multiplayer games, product catalogs, inflight ordering, (miles) payment capabilities using ‘Connected Crew’, digital magazines and newspapers, surveys, (group) chat, high value targeted advertising, destination information and basic flight information. AirFi is scalable and flexible without any modification to the aircraft. Now, wanna see a picture of a early demo unit used for testing? It’s about the size of a book and we were stunned when we saw it. Consider yourself lucky as not many people have see it! Meet Armstrong Aerospace and Armstrong AeroMod. 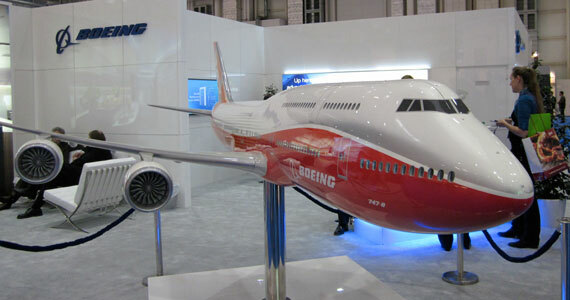 With over 130 total employees, Armstrong Aerospace and Armstrong AeroMod are industry “big dogs” in aero design, certification, manufacturing and installation. With over 125,000 square feet of facilities in the US, they will be a familiar name in IFEC. We like the idea that they look at design and certification work from concept to completion and, as Armstrong Aerospace’s Director of Programs Kevin Weppner told us, “time to market” is their mantra. As we understand it, Armstrong relies on 4 pillars of strength – Engineering, Analysis & Certification, Manufacturing; and in their own words, ‘Rapid Installation’. Rapid is very important when a fleet needs fast turnaround so the airline can provide new passenger services, particularly when these services will be delivering ancillary revenue. We understand they have the necessary space needed to manufacture, assemble and also install items like installation kits. This is a big deal and another reason why we like their approach to this type of business. Just as important is their sister company Armstrong AeroMod. AeroMod is a stand-alone entity that handles kit installations, and as a result, they influence Armstrong Aerospace’s designs and then “man-up” to perform the rapid installations. With over 20 years in the business, we asked what model aircraft Armstrong has worked on: “Let’s see,” said Kevin, “the Airbus A300/A320 family/A330/A340, and the Boeing B707/B727/B737/B747/B757/B767/B777/B787, not to mention a host of smaller commercial and business aircraft!” That about covers it. These folks know radomes too as they have had experience with the big ones. (As a side note, they developed BirdStriker, designed to deflect birds and completely protect radomes). We asked Kevin what kind of equipment Armstrong had in their design & installation portfolio and he rattled off a list that we had to keep up with (and we hope we got them all), “Inflight telephony and connectivity, Sat TV, Gatelink, Off-seat power, ELTs, TCAS, Autopilot, SATCOM, Wireless IFE, Pico-cell systems, Control panels, Rack & Pallets (pre-wired) and large radomes.” He noted that competitive MROs average 6+ days to complete a basic Wi-Fi retrofit installation and are not structured to perform this work quickly. Armstrong Aerospace and Armstrong AeroMod, on the other hand, do not use a dedicated crew for a particular install – their design flow is tailored with military precision to the install, not the crew! “Armstrong AeroMod workers are full-time and specialized, quite like Formula 1 teams, and we use multiple teams simultaneously. This approach proves itself out in the pace of installs AeroMod accomplishes. For instance: right now AeroMod is installing a satellite streaming and wireless IFE system with a large radome on 747s in less than four days.” And, we understand, they perform this feat worldwide. Check them out and ask Kevin for a presentation or a quote. IFExpress has been very impressed with their follow through. Have you made arrangements to attend the next APEX TEC – the next one may be the best one yet? May 13-14 in Universal City, CA. Among the not-to-be-missed topics will be sessions on PED’s Inflight (including panelists from the FCC Wireless Bureau talking about FCC rule changes proposed for voice for cellphones onboard), Onboard Payment Technologies (featuring a presentation from the banking industry perspective by Chase Paymentech), and Closed Captions (including discussion of the DOT’s proposed rule change requiring captioning of all entertainment content). There’s more, click here. Could this be the way that AT&T is heading for their aircraft connectivity beginning in 2015? Packet switched LTE radios/routers and VoIP apps may be their solution for higher bandwidth for fliers! Finally, if you like kids and airplanes, you will love this Turkish Airways video advert! Look Ma, No Wires – But, A Lot Of Data! This story begins with press release and finished with an email interview. We thought our readers would find the company interesting and their wireless product even more so. We think we have a scoop for IFExpress readers with this one! Q: Is the box image you sent to IFExpress the server? Q: How many boxes are needed on the aircraft (boxes per seats)? Q: Do you have any electronic spec sheets? Q: What about servers, antenna’s and so on? Q: Has the box(s) been certified… is it flying… with whom? A: No certification is needed. There is no connection to the plane therefore falls under T-Pad. It has been tested with one of our customers who at this time wishes to stay unpublished. Q: Are you willing to share cost per seat served? Q: What OS are you running? Q: What is the server size? Q: How is data loaded? How does that happen? c) Information can be uploaded by the airline, by ourselves or one of our content partners/airline content partner. Q: Will you folks be at AIX in Hamburg? Apologies to everyone left off our AIX Crystal Cabin list we included last issue, there are actually a total of 56 finalists – you can find all of them here with some pictures to boot! Airlines without on-board WiFi capabilities have a new, low cost and flexible alternative to offer their passengers a ‘connected’ experience with chat, games and ancillary sales. Amsterdam, The Netherlands | March 21, 2014– MI Airline is proud to announce the AirFi Box and AirFi Platform. AirFi is a compact, portable, battery-powered and self-scaling WiFi network, not in any way connected to the aircraft. The AirFi Box is designed to be integrated into existing airline logistics and is suitable for creating an alternative Inflight Entertainment for all flights. The AirFi Platform provides passengers with a large range of options when they connect their own tablets or smartphones to the network: they can order tax-free or catering products during the entire flight, play (multiplayer) games with other passengers, on-board chat, read destination information, enrol in airline loyalty programs or report faulty seats. In short: AirFi is classified as a T-PED (Transmitting Personal Electronic Device), offers lightweight multiplayer games, product catalogs, inflight ordering, (miles) payment capabilities using ‘Connected Crew’, digital magazines and newspapers, surveys, (group) chat, high value targeted advertising, destination information and basic flight information. AirFi is scalable and flexible without any modification to the aircraft.